CHICAGO, IL. — Join the Citi Brian Urlacher Thursday Night Watch Party on Sept 10 from 7:00 pm-10:00 pm at Ditka’s Restaurant in Chicago where Citi card members will have the exclusive opportunity to watch prime time football with Brian Urlacher as Pittsburgh takes on New England on Thursday Night Football. Brian will offer his insight on the game and hold an interactive Q&A session with participants. Age: 21 + years old. Cost: $99. Source: ProCamps. 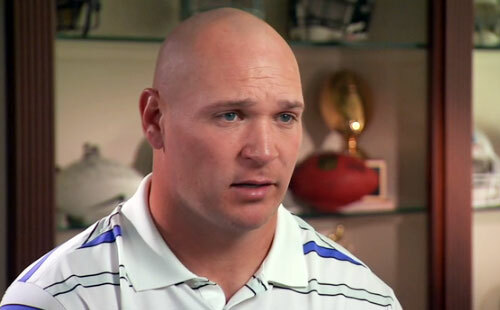 Brian Urlacher is an eight-time Pro Bowl selection and was named 2005 NFL Defensive Player of the Year as a linebacker for the Chicago Bears. The Bears did not renew his contract for 2013. Urlacher established himself as one of the NFL’s most productive defensive players. After winning the NFL Rookie of the Year Award in 2000, he was elected to eight Pro Bowls, and won the NFL Defensive Player of the Year award in 2005. His playing style, accomplishments and reputation have made him one of the team’s most popular players. After he was let go by the Bears, and subsequently receiving minimal interest from other teams, Urlacher announced his retirement via Twitter on Wednesday, May 22, 2013. Urlacler continues to do well with speaking engagements, personal appearances and product endorsements. Sports Speakers 360 is a booking agent for motivational sports speakers. If you would like to book pro athletes or NFL stars like Brian Urlacher for a speaking engagement or appearance, please contact Brian Urlacher’s booking agent for speaker fee information. For details on how to hire Chicago Bears players for appearances, call 1.855.303.5450.